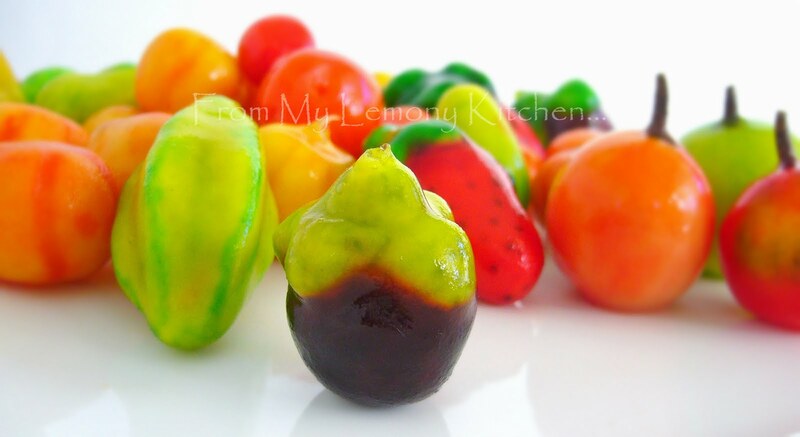 Lap Chup~ originated from Thailand... made of steamed split peas paste and shaped into miniature fruits and vegetables. 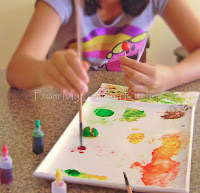 Making Lap chup ~ is an art in itself; challenging one's skills and creativity... and most of all - one's patience!!! Miss E painting an apple... note how small Lap Chup is on her left hand!! Soak the split mung beans for at least 1 hour. Prepare and line the steamer with a piece of white or muslin cloth and steam until its soft. Mash the beans into a smooth paste. In a non-stick pan, dissloved the sugar in the coconut milk and add in the mushy mung beans paste. Cook on slow fire until it is well combine and form like a 'dough' and on the drier side. Leave it to cool. 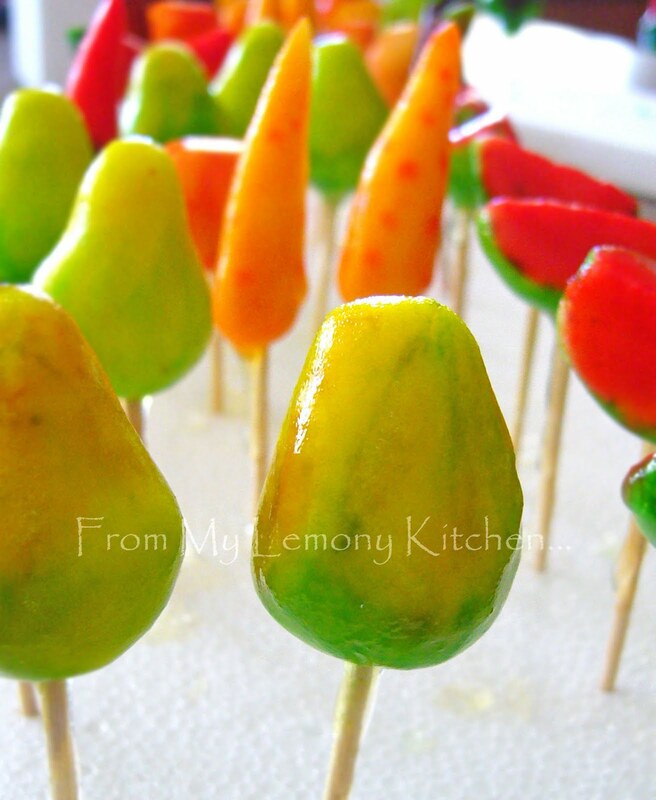 Shape into miniature fruits or vegetables. Insert toothpick and start colouring the fruits or vegetables. Dissolve sugar and agar-agar powder. 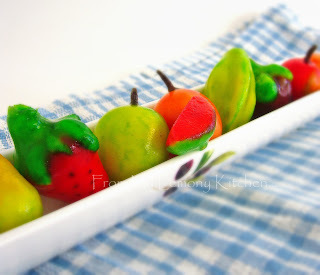 Dip the coloured fruits and leave it to set. Repeat for the second layer. Fascinating! I wish I was good at handwork. This is my favourite thing to eat when I was young. Look great!